One of the best Arizona resorts awaits you - the AAA Four Diamond Scottsdale Resort & Conference Center, our luxury desert vacation retreat and exceptional Phoenix meeting destination. With time-honored traditions of hospitality unmatched among Scottsdale resorts, our lush setting and gracious décor offer modern accommodations and amenities wrapped in the elegance of historic haciendas of the past. Our restaurants, lounge and patios gaze over sun-washed mountains; cool blue pools dance under cloudless skies; tennis courts and golf courses bask in the sun, while refreshing pursuits can be found at our Amansala Spa/Salon. 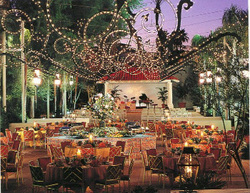 Our masterful chefs and talented planners create weddings and theme parties fitting any occasion. And our advanced technology, 50,000 square feet of meeting space, and award-winning service make us the premier choice for Scottsdale meetings and conferences. 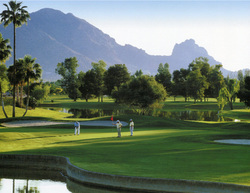 For business or pleasure, Scottsdale Resort & Conference Center is truly an incomparable Southwestern resort. 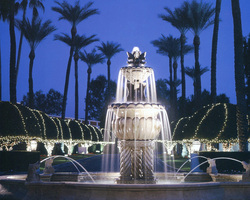 The Scottsdale Resort and Conference Center is an ideal location for reunions interested in an elegant yet affordable indoor or outdoor setting for cocktail reception style or banquet style reunion celebrations. With fantastic chef inspired hors d'oeuvres or plated dinners with unique flavors, the Scottsdale Resort is sure to please the everyone that is part of your reunion. IMPORTANT - All pricing contained in the reunion options listed below are for the main event including the following services: creating and maintaining a Facebook community page, building a custom class reunion website with online registration, providing a custom discount online hotel booking engine, supplying all name badges, purchasing and distribution of all door prizes, create and deliver web surveys, managing all online ticket sales, and all related logistics. Our company also pays all deposits and room rental fees, pays all taxes and gratuities, signs all contracts, and takes full financial responsibility for the event so the planning committee can focus on inviting classmates for the perfect reunion. ReunionCoordinator.com can also help Alumni planning committees with a pre-event soiree and/or a Sunday picnic for a reasonable additional fee added to the ticket. Elegant ballrooms are available for reunion committees who choose an indoor venue.